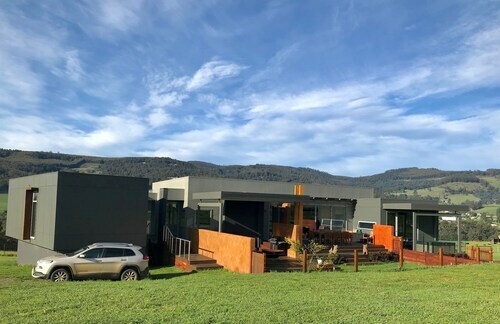 Situated in a regional park, this apartment building is 1.2 mi (1.9 km) from Mount Misery and within 9 mi (15 km) of Home Hill Winery and The Huon Apple and Heritage Museum. Wooden Boat Centre and Pelverata Falls are also within 16 mi (25 km). 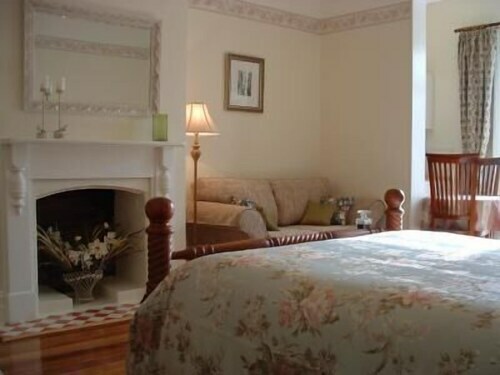 Situated in a shopping district, this luxury guesthouse is 2.6 mi (4.3 km) from The Huon Apple and Heritage Museum and 2.8 mi (4.5 km) from Home Hill Winery. Wooden Boat Centre and Mount Misery are also within 9 mi (15 km). Situated in a shopping district, this luxury guesthouse is 3 mi (4.8 km) from Home Hill Winery and within 6 mi (10 km) of Wooden Boat Centre and The Huon Apple and Heritage Museum. Pelverata Falls and Mount Misery are also within 9 mi (15 km). 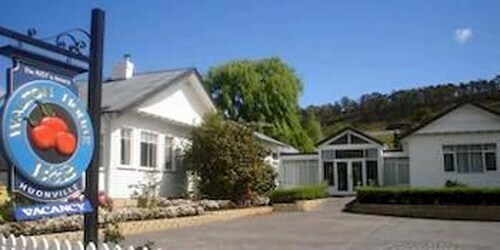 Situated in a rural location, this guesthouse is within 9 mi (15 km) of Home Hill Winery, Mount Misery, and The Huon Apple and Heritage Museum. Wooden Boat Centre is 9.5 mi (15.4 km) away. Tasmania is famous for its natural beauty, and Huonville is no exception. The hub of the Huon Valley, it sits on the edges of mountains and wilderness, while the Huon River – Tassie’s fourth biggest river at 174km long - flows through it. You might not have heard much about this part of Tassie, but once you visit, you’ll never forget it. With restaurants and shopping in the middle of town and heaps of nature-based attractions in the Huon Valley, who wouldn’t want to stay in Huonville? 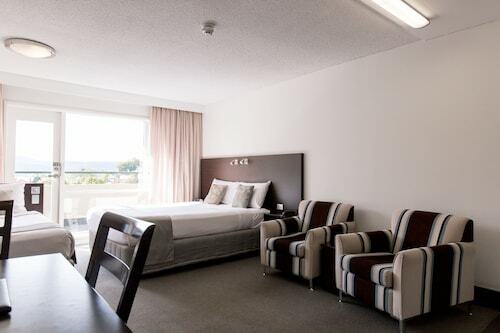 Book your Huonville hotel with us now! Admiral Bruny D'Entrecasteaux discovered the Huon River in 1792 and named it after his second-in-command, Captain Huon de Kermadec. Once known for its timber and hops, Huonville is now Tasmania’s cherry and apple-producing hotspot. This place is one of the main reasons Tasmania is called ‘the apple isle’ with over half the state’s apples grown here. Huonville and the Huon Valley are part of the Huon Trail, which also consists of wilderness destinations like Bruny Island. The Huon Highway rolls through the heart of town and wherever you go, you’ll be able to catch a glimpse of Sleeping Beauty, a mountain range made up of Trestle Mountain and Collins Bonnet, believed to resemble a sleeping woman. Green tree-dotted hills lie behind town centre streets filled with an assortment of local shops, restaurants and cafes. 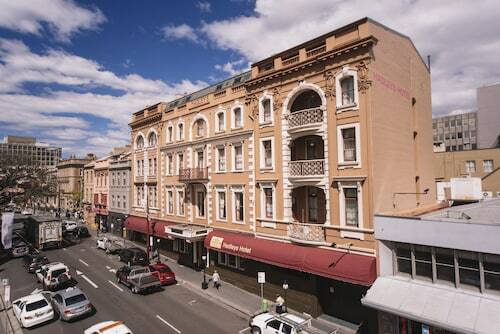 Here, you can op shop, get a coffee or pizza or just enjoy the scenery. If you want to get even closer to nature and test your endurance, take a hike to Trestle Mountain’s summit. The Huon Valley has plenty of spectacular natural sights like Hastings Caves and Thermal Springs, where you can soak in warm waters or take a guided tour of Newdegate Cave, Australia’s biggest tourist cave, filled with sharp stalactites. Make sure you venture further south and get close to the southernmost tip of Australia with a visit to Bruny Island to bushwalk, take an eco-cruise and spot seals along the rocky coastline. Also, don’t miss the Cape Bruny Lighthouse and be sure to try some delicious local oysters. Getting to Huonville is easy – it’s just 38km south of Hobart. But if you need a flight to Hobart, we’ve got those too! Wot are you waiting for? If you want a convenient place to stay while you venture to the Huon Valley, choose from our Huonville accommodation below. You’ll be apples! 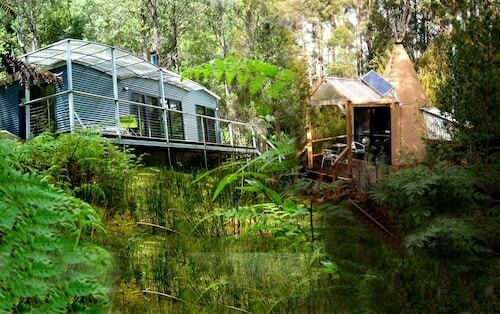 How Much is a Hotel Room in Huonville? 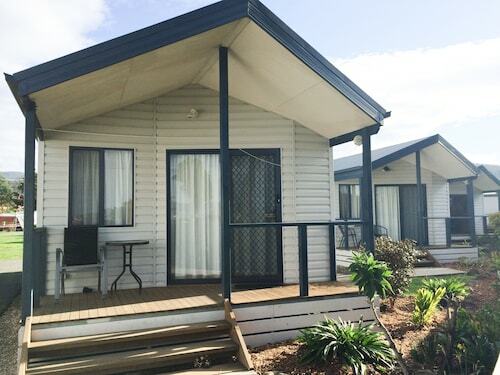 Hotels in Huonville start at AU$95 per night. Prices and availability subject to change. Additional terms may apply.